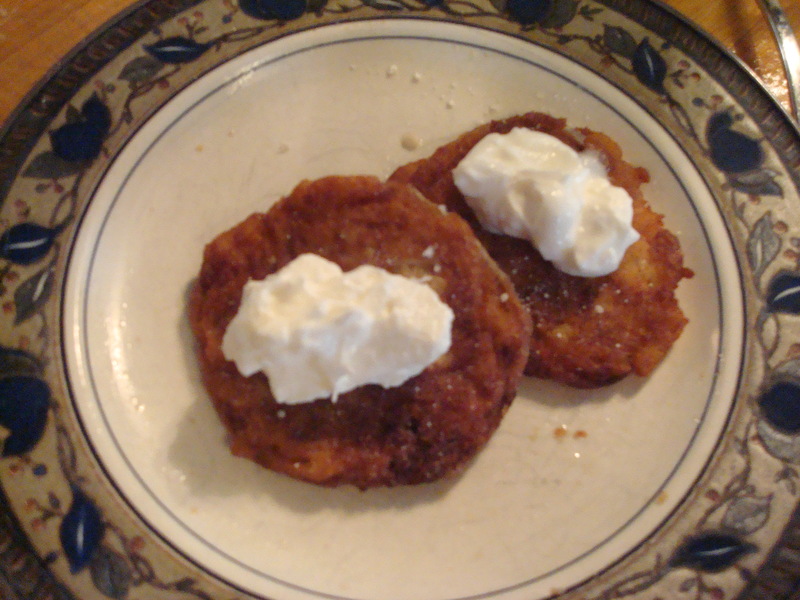 A couple of weeks ago Deb, from Smitten Kitchen, (one of my food blogging heroes) posted a recipe for apple latkes. I was pretty excited because I have a long standing, very fond memory of my grandfather, Jim, making what he called apple fritters. I’ve always remembered them as NOT being apple pancakes, which is essentially what I’ve found every time I’ve tried to look-up recipes on the internet. So when Deb busted out with apple latkes, I thought I’d found my answer. But, as delicious as they were, they weren’t what I remembered. I realized that I wanted something between a latke and a pancake. My disappointment was suddenly mitigated by the realization that I’m a food blogger now! I should just make up my own recipe! What a concept! Of course, my mom reads this blog so she could easily coast in here and shatter my illusions and tell me that these in no way shape or form resemble his apple fritters. But, if she tastes these, I doubt she’d care. They’re that good. 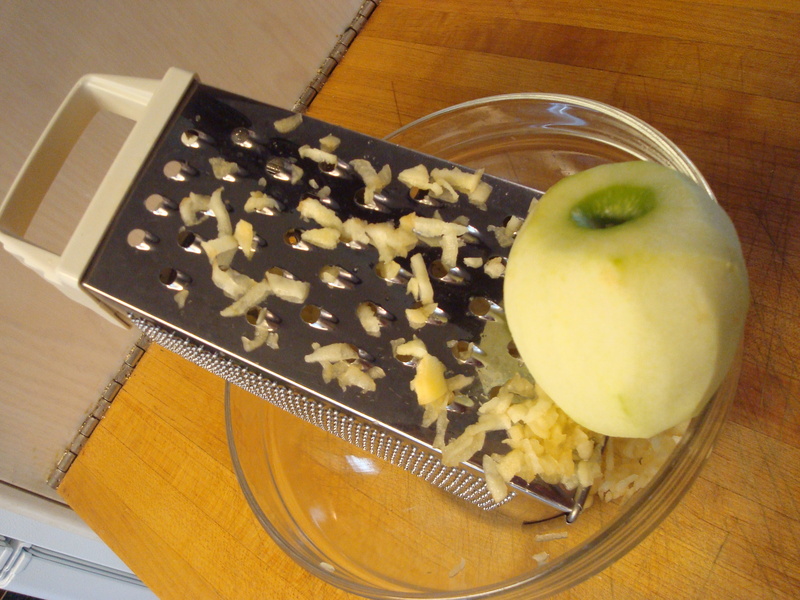 Peel and shred the two apples into a bowl. 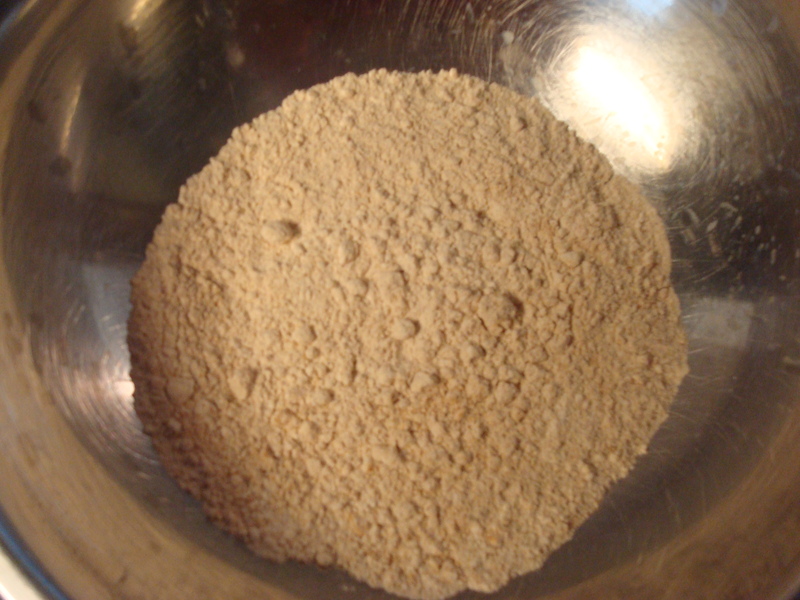 In another bowl mix together the flour, baking powder, salt, cinnamon, ginger, and nutmeg. Separate the eggs, putting the whites into a mixing bowl and the yolks into a measuring cup. 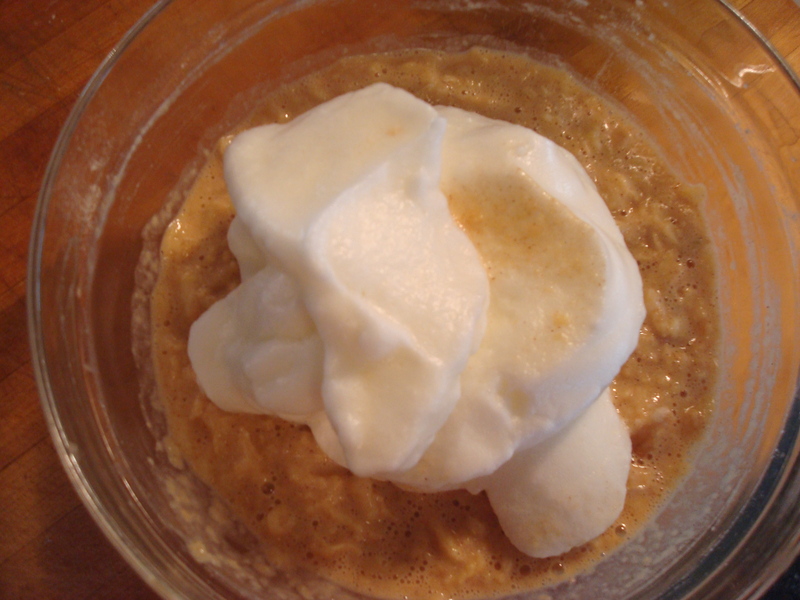 In the measuring cup mix the egg yolks, milk, vanilla, applesauce, and sugar. 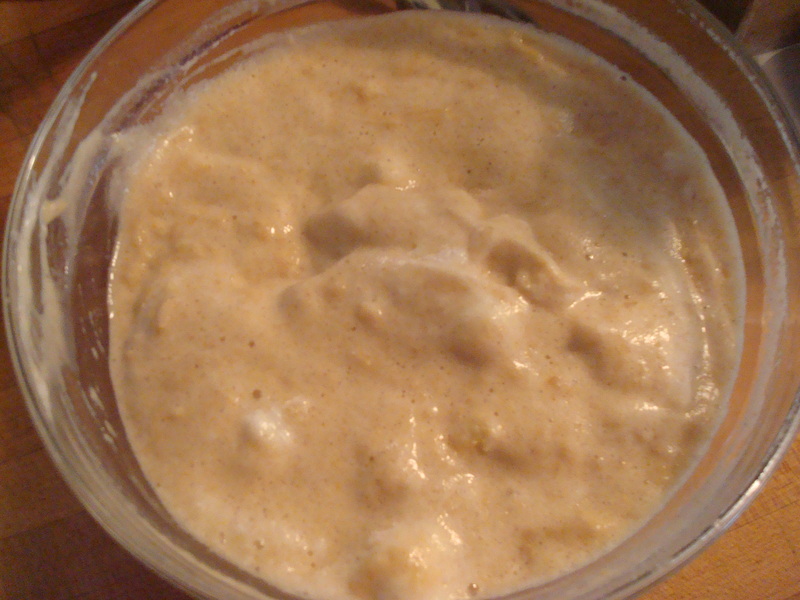 Mix the egg and milk mixture with the shredded apples. Put about 1/2 inch oil in a fry pan and heat over medium heat while you beat the egg whites to medium peaks. 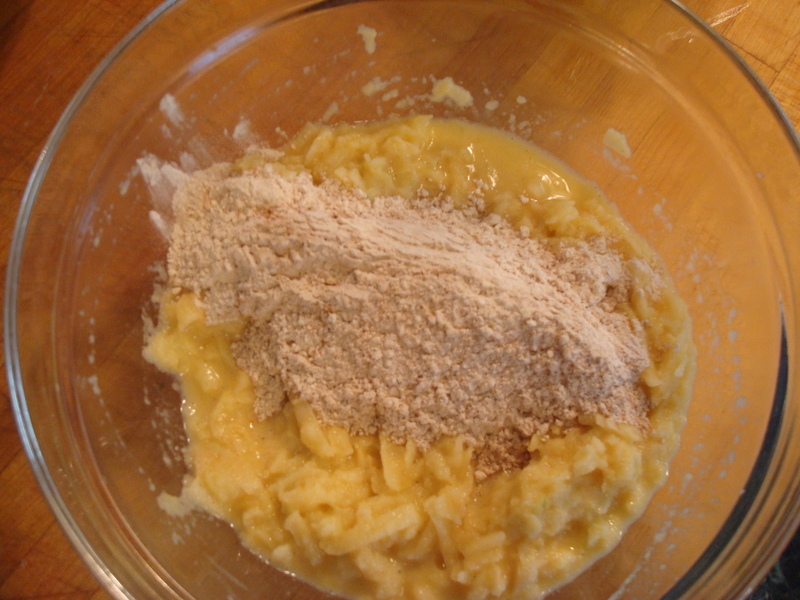 Stir the flour mixture into the apples mixture. Then fold the eggs whites in. 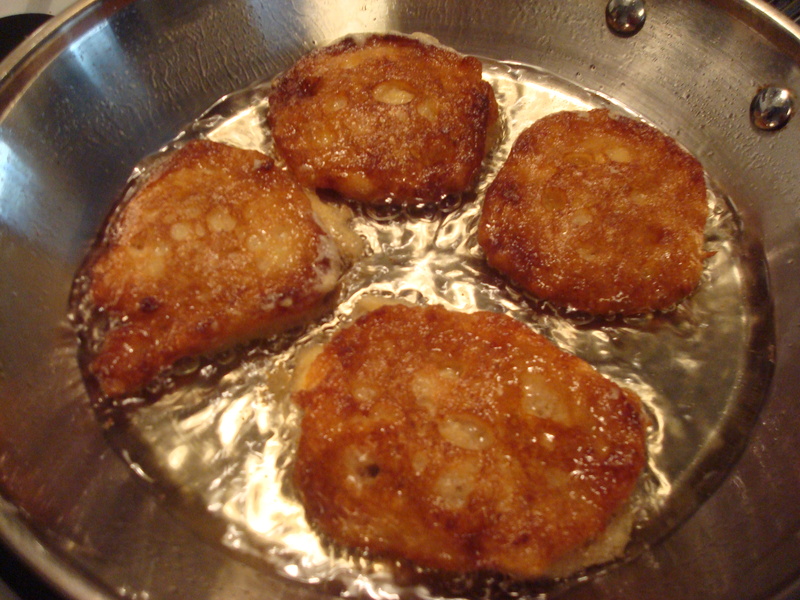 When the oil is hot spoon the batter into the fry pan using a large soup spoon. Flip once the bottoms are golden brown, approximately 3 minutes. Drain on paper towels and serve hot, possibly with a sprinkling of powdered sugar or a big dollop of plain yogurt. I wish I could make these right now! 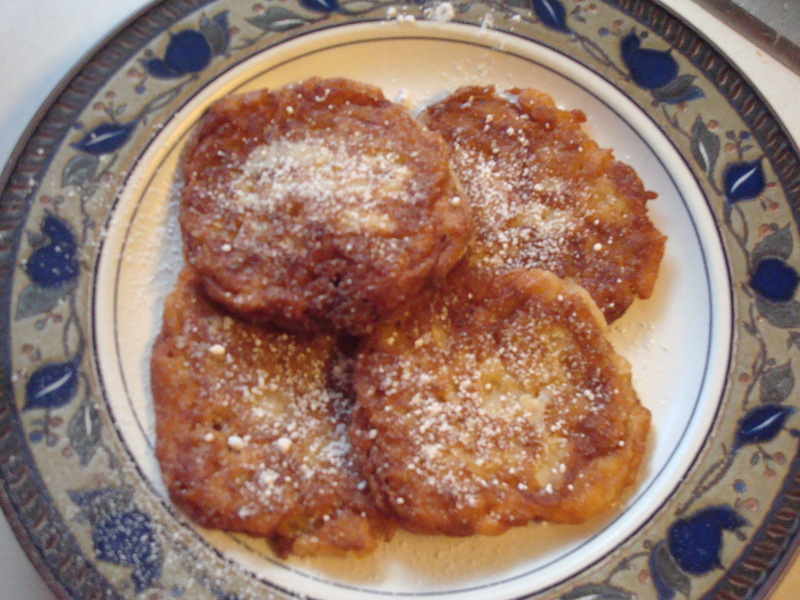 I love fritters, especially of the apple and corn variety (and I haven’t had either in ages). Mmmm, thanks for reminding me. Ok,so Mom can’t let this one go without comment. Jim had some recipes that he created and couldn’t really share because there were subtle “adjustments” each time he made the item. If Elizabeth re-created the taste of the fritters, she successfully channeled Jim. Not a bad thing to do no matter what the topic.